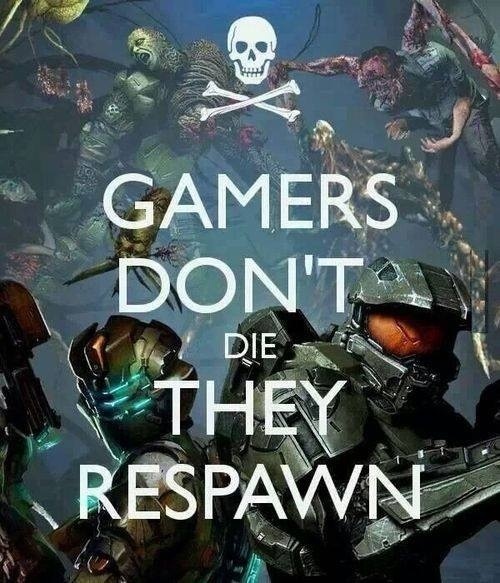 Gamers Don't Die, They Respawn. . Wallpaper and background images in the Video Games club tagged: photo. This Video Games fan art might contain anime, grappig boek, manga, cartoon, and stripboek.